Links to and from pages on your website are a key ingredient for your SEO ranking. These links are essentially a vote of confidence from other pages, be it a different website or your own website, that the content on this page is important. Although external link building strategies to gain links from outside websites take time and work, you can easily create and execute a strategy for internal link building within your own website. One of the best ways to begin creating an internal link building strategy is to organize your content by topic clusters. We’ve discussed before about the importance of using topic clusters to organize your content. By mapping out your site with topic clusters, you are not only creating an easy path for your visitors to follow, but also an easy path for search engines to follow and categorize your pages. Since your site’s content is one of the largest factors in your SEO ranking, it is important that each content piece is linked to the appropriate topic cluster and pillar page. By linking similar topics to each other, it lets the search engines know that the pages are related and important to one another. How Do I Develop an Internal Link Building Strategy? The first step to developing an internal link building strategy is deciding which topics you want to be known for and create topic clusters for these areas. A large part of your site’s ranking is based on your content being relevant to a searcher’s query. Because of this, it is important to build pages based on content you want to be known for or rank high for. Once you have determined what you want to be known for, you can then create topic clusters around these areas of interest. Each cluster should contain a pillar page that gives a high level overview of the topic. The pillar pages will have links to other pieces of content that explore more specific areas of interest within the topic. 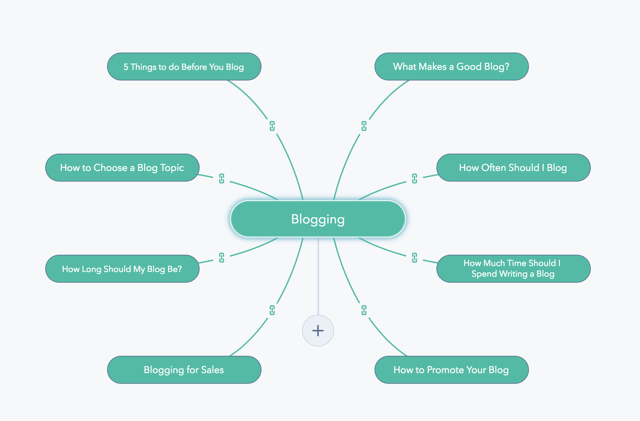 As you can see in the example below, one of the topics we would like to rank for is blogging. We have developed a pillar page for the topic of blogging that gives a high level overview of the topic with leaf pages for each specific article that goes over an area of blogging. All of these pages are linked to each other and to the main pillar page of blogging. This informs search engines that all these pages are related and they all discuss the topic of blogging. It lends credibility to our pillar page for the topic and shows search engines that we have multiple sources of information on the subject which could lead to an increase in our SEO ranking for blogging. How Do I Put My Internal Link Strategy into Action? At this point, you might be thinking “Great! Internal linking helps build up my SEO ranking, so I should just link my site together as much as possible to get a higher ranking, right?” Unfortunately, this is not the best way to create an internal linking strategy. Typically experts recommend approximately one internal (or external) link per every 150 words. However, this is not always the set answer for how many internal links per page is the optimum amount because each link you have lessens the authority of all the links on your page. Basically, as the amount of internal links you have on a page grows, the authority of each link decreases. Because of this, it is important to only include meaningful internal links on each page to help build your SEO ranking instead of decreasing it. 1) Is this link relevant to the topic I am discussing? Each internal link you provide should be relevant to the topic at hand. For example, you saw above how we created a topic cluster around blogging. Every link in those articles relates to something that has to do with blogging, whether it be how to create a blog, how to choose a topic, or how to promote your blogs. This shows both readers and search engines that we are an authority on the topic of blogging. We have multiple pages with content related to blogging and those pages are linked together to show their relation to one another. If we have provided the correct internal links, our readers will be able to continue on a path through our website to learn more about blogging. If we provided a link to information that is not relevant to blogging on that page, the readers will quickly leave the page or our site altogether. Search engines will recognize this and it could have a negative impact on our SEO ranking. 2) Does the anchor text accurately describe my link? Using the correct anchor text is also an important factor for an internal linking strategy. Anchor text refers to the words that are hyperlinked to lead to the next webpage. Your anchor text should accurately describe the information a reader will be receiving by following that link. Using the example of blogging above, imagine somewhere in our article, we mentioned where to put your blog on your website and created a link for you to follow. How frustrating would it be if that link did not lead to more information about where to put your blog on your website, but instead lead to information about our web design services? That link would not be relevant to the information we were discussing and it would be penalized by not only a frustrated reader, but also by search engines. If the link does not match the content, people will exit the page quickly, which is a red flag to search engines that your page is not relevant to the reader’s search. 3) Does this link serve a purpose? One of the main purposes of internal links, aside from helping to increase your SEO ranking, is to keep readers engaged and involved on your website with the goal of progressing them through their buyer’s journey. If you are not providing the correct information and content for readers to continue to progress through their journey, they will not stay on that page or your site. This will not only cause you to potentially lose SEO ranking status, but also potentially lose a lead or customer. Each time you include an internal link in your blog or site content, you must be sure it serves a purpose. Each of these links serve a purpose for your lead and will hopefully keep them engaged instead of causing them to lose interest in your content. 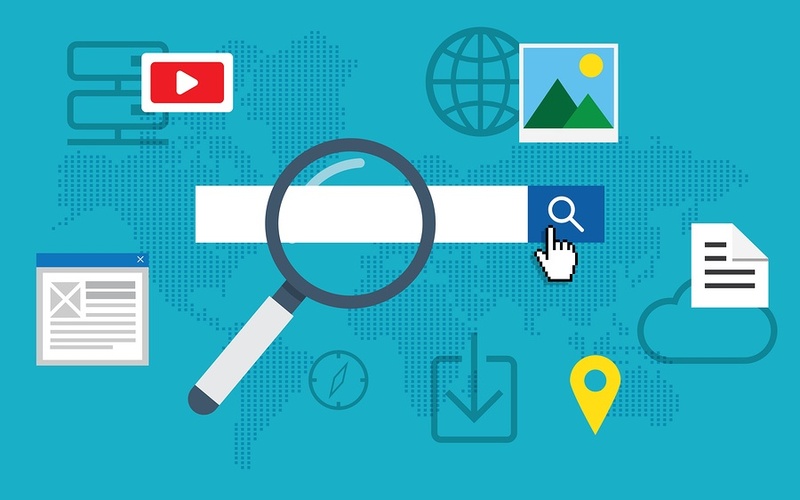 When the lead stays engaged and continues to progress through your information about a particular topic, search engines realize that your content is relevant and valuable, which will lead to a higher SEO ranking. Using internal links within your own site is a great way to essentially vote for yourself and raise your SEO ranking. However, you must be cautious since overuse or misuse of internal links could have the opposite impact on your ranking. The best course of action for internal linking is to develop a strategy based on topic clusters and areas of similar information. Linking clusters together will prove to both readers and search engines that you are an authority on that particular topic, which will cause your SEO ranking for that search to grow. The best way to develop content your visitors will want to read is by creating a buyer persona for your ideal customer. Download your free Buyer Persona template to get started making your own!